Work in leather tanning involves exposure to a wide range of chemicals. Some of these are carcinogens or suspected carcinogens. Increased risks for a number of cancers have been reported among the tannery workers. In the present review, a detailed account of lung cancer, testicular cancer, soft tissue sarcoma, pancreatic cancer, bladder cancer among tannery workers is mentioned. This study was carried out on the workers of a lead refinery industry and two control groups in Zanjan city in Iran. The scalp hair samples were collected from 25 workers who were occupationally exposed to lead contamination as a case group and from 25 subjects among the staff of the same industry and 25 subjects among Zanjan citizens as the first and second control groups respectively. A flame atomic absorption spectrophotometer used to determine lead level in all of the samples. The age of all subjects in the three groups was matched. The mean concentrations of hair lead in the workers (case group), the staff (control groupA) and the citizens (control group B) were 131.7±93.4 µgr/gr, 21.1±13.2 µgr/gr and 27.9±14.1 µgr/gr respectively. The mean concentration of hair lead in the case group was more than hair lead of normal range found in humans (0-30 µgr/gr). The mean of hair lead level in the citizens who had used gas vehicles was statistically higher than who had not used it (36.9±12.2 µgr/gr vs. 16.6±4.9 µgr/gr, P <0.001). Objective: In this cross-sectional study, we investigated working conditions and related neuropsychiatric problems of shoemakers, including child workers, working in poor conditions with high health risks. 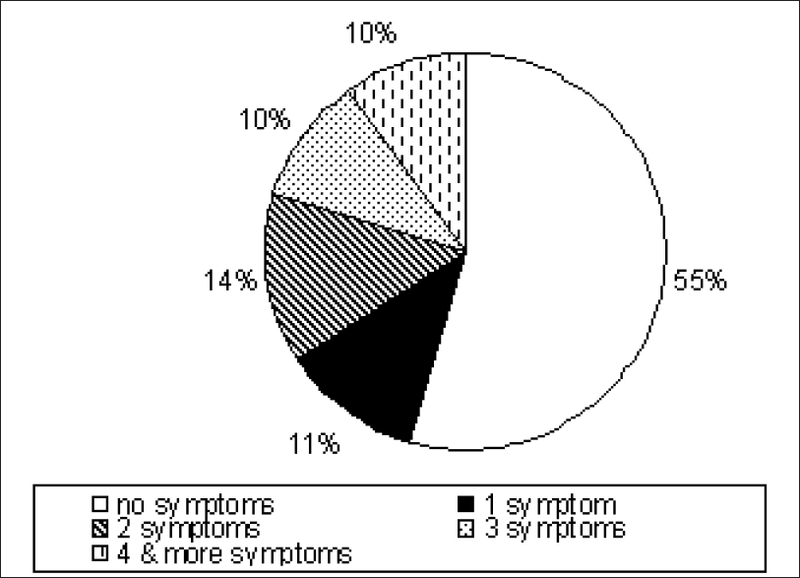 Clinical diagnosis was not the objective of this study. Materials and Methods: We collected data from 318 workers ranging from 8-66 years of age. We evaluated working conditions, neuropathy symptoms and signs; urinary 2,5-hexanedione was used to estimate hexane exposure. We used the Zung depression scale for adult shoemakers to evaluate depression. Results: All workshops employed fewer than 10 workers with median daily work duration of 12h. Smoking and alcohol consumption were high among all workers including children. Peripheral neuropathy symptoms and signs were observed in 88 workers (27.8%) and it was related to alcohol consumption. Sixty-eight workers (47.9%) had depression and it was associated with daily work duration. Conclusion: Extremely poor, unhygienic, working conditions and a high prevalence of neuropsychiatric disorders were the main problems observed among shoemakers. A high number of child workers increased the scale of these observed problems. About 673 small-scale asbestos mining and milling facilities and 33 large - scale asbestos manufacturing plants, (17 asbestos-cement product manufacturing plants and 16 other than asbestos-cement product plants) are situated in India. The present study reveals the exposure of commercial asbestos (chrysotile) in the occupational as well as ambient air environment of the asbestos-cement (AC) sheets industry using membrane filter method of Bureau of Indian Standards (BIS). 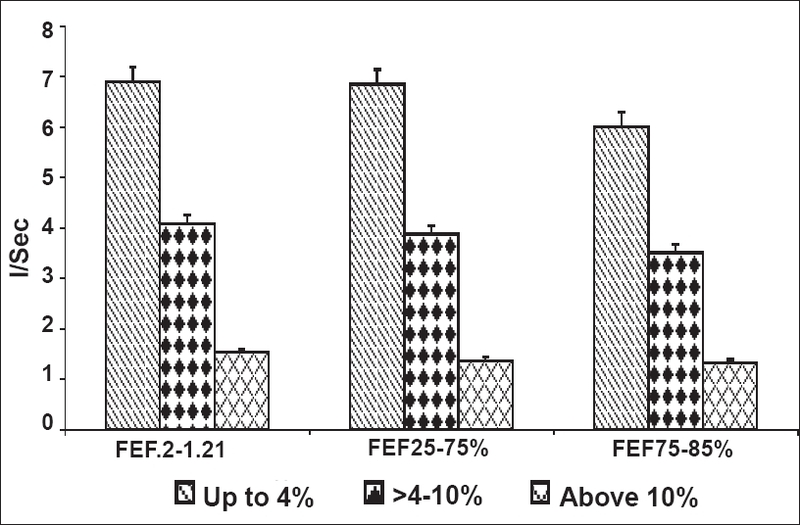 The fibre concentrations in 15 samples collected in the occupational environment at ingredient feeding site, sheet-producing site, fibre godown were 0.079, 0.057 and 0.078 f/cc, respectively and in five samples from surrounding ambient air at factory gate resulted fibre concentration of 0.071 f/cc. All the samples have shown fibre concentration lower than the threshold limit values (TLVs) prescribed by BIS. Morphological analysis of samples, further under phase contrast and polarized microscopy indicates the presence of chrysotile asbestos, which acts as carcinogen as well as co-carcinogen. A clinical examination of exposed subjects reveals that there was no case of clubbing, crepitation, ronchi and dyspnea on exertion; however, obstruction and restriction were 10.9 per cent and 25 per cent in exposed subjects, respectively while in control there were 12 per cent and 28 per cent, respectively. The study revealed that chrysotile asbestos is emitted in the occupational as well as ambient environment that may cause adverse health impact. The workers engaged in storage grain handling are exposed to storage grain dust and suffer from different respiratory symptoms like, cough wheezing, chest tightness, eye and nasal irritations. It has been reported abroad and the present study results noted that the grain handlers have allergic symptoms like redness of eyes, itching, sneezing, skin rash, breathlessness and decrement of pulmonary function test values. According to their nature of job, the workers of storage grain godowns were divided into four categories i.e., load handling worker (LHW), ancillary, quality control and depot administration workers. The pulmonary function tests (PFT) and the differential count of leucocytes were carried out among the workers by standard technique. Decrement of pulmonary function test values was noted with the increment of blood eosinophil level. The PFT results were presented according to the blood eosinophil level. The decrement of mean PFT values were noticed as the blood level of eosinophil gradually increased from, up to -4%, >4-10% and above 10%. The maximum numbers of workers in different job categories are belonged to >4 -10% of eosinophil level. The percentage figure of workers in different departments were LHW 48.38%, (n=45), ancillary 38.88%, (n=7), quality control 54.54% (n=6) and depot administration workers 47.05% (n=16) are belonged to that range. Among the total workers the higher figure was found >4-10% ranges 47.43% (n=74) workers. The allergic manifestations like redness, itchiness and watering of eyes, sneezing, cough, breathless etc. are reported. These workers have blood eosinophil level and low pulmonary function test values. The respiratory impairments among the workers are restrictive, obstructive and combined restrictive and obstructive type. Subjects exposed to organic solvents frequently complain of respiratory symptoms. Epidemiological studies conducted in these exposed subjects with special reference to respiratory effects are very few and that too are on very small number of subjects. This paper critically reviews most of the epidemiological studies in formaldehyde induced respiratory effects and combines them through meta analysis to get global precise estimates of the respiratory risks. A computerized bibliographic search revealed 16 epidemiological studies out of which 12 studies were considered for meta analysis. The symptoms of upper respiratory tract were more prevalent as the combined odds of exposed was 5.04 compared to controls. 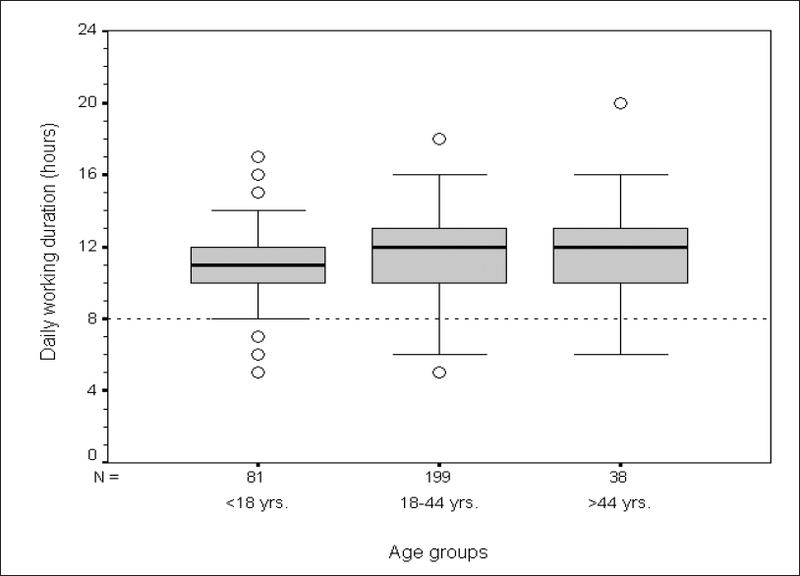 The pooled odds ratio for acute lower respiratory symptoms ranged between 1.85 and 2.91. The mean fall of FVC, FEV1 and FEV1/FVC was only 3.4%, 3.6% and 0.6% respectively, which was not statistically or physiologically considered significant. Introduction: Work-related musculoskeletal disorders (WMSDs) are a common health problem throughout the world and a major cause of disability in the workplace. Awkward working posture is a main risk factor for developing WMSDs. 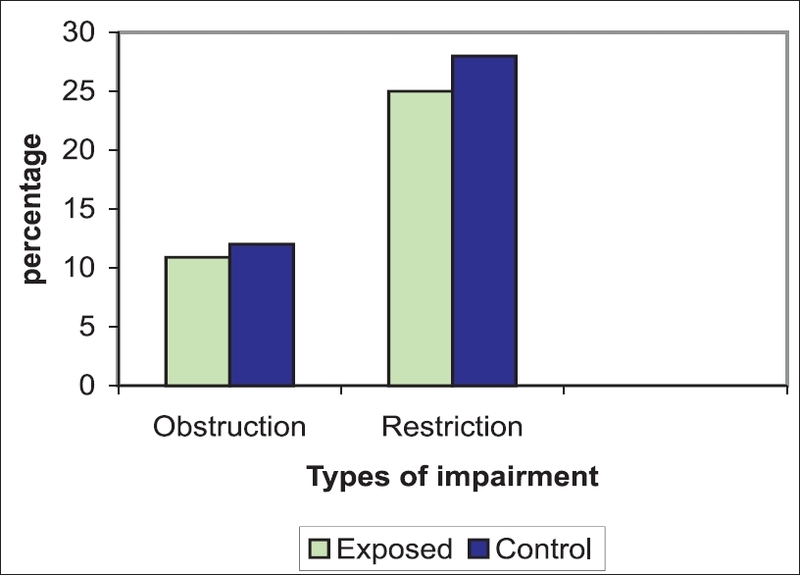 Assessment of exposure level to WMSDs risks can be an appropriate base for planning and implementing interventional ergonomics program in the workplace. This study was conducted among workers of an Iranian communication company with the objectives of a) determination of WMSDs prevalence and b) assessment of exposure level to WMSDs risks. Materials and Methods: In this cross-sectional study, 85 randomly selected workers from assembly line and closed circuit TV (CCTV) participated. Nordic musculoskeletal questionnaire (NMQ) was used to study prevalence of WMSDs and rapid upper limb assessment (RULA) technique was applied to assess physical exposure to the risks. Results: The results of NMQ revealed that WMSDs occurred at an high rate. The highest rates of WMSDs prevalence were reported in shoulders (73%), knees (67.1%) and back (66.7%). RULA showed that the Grand Score of 88.1% of cases were high and very high (action levels 3 and 4). Significant association was found between risk level and musculoskeletal symptoms in lower back ( P <0.05). Conclusion: Given the association between RULA score and the prevalence of the problems, reducing RULA score by designing ergonomic workstation may reduce the prevalence of WMSDs among the workers. Purpose: To study the effect of exposure to high level of air pollution on ocular surface health. Materials and Methods: A total of 520 subjects volunteered to participate in this study. All volunteers were required to give a detailed history and were subjected to ophthalmic examination under slit lamp, visual acuity test, tear film break-up time (BUT) and Schrimer's test. Results: Significantly high number of subjects in study group complained of ophthalmic symptoms compared to control group. Sevent eight per cent subjects in the study group had symptoms such as redness, watering, irritation, strain or photophobia whereas this number was 45% in control group. Schirmer's test showed a significantly low value of 22.75±8.91 mm in study group as compared to 30.30±7.92 mm in control group ( P <0.001). Average tear break-up time in study group was significantly low ( P <0.05) with a value of 11.17±2.92 seconds compared to 12.13 ± 3.24 seconds in control group. Conclusion: Results of our study indicate that people traveling in highly polluted areas and exposed to high level of air pollutants are likely to suffer from significantly high incidence of subclinical ocular surface disorders.